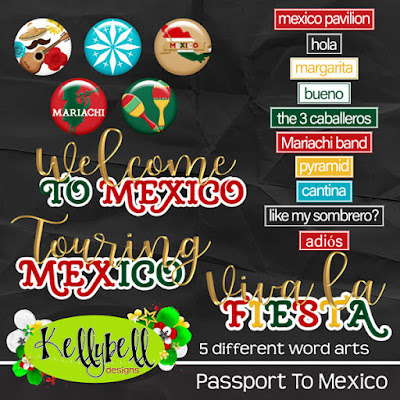 Hola, amigos! 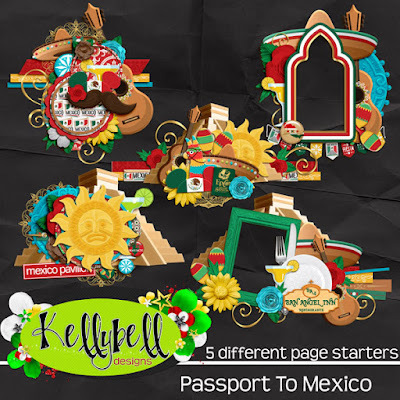 I hope you are in the mood for a fiesta this week because Kelly's next installment of her Passport collection has us going on a journey through the Mexican Pavilion. 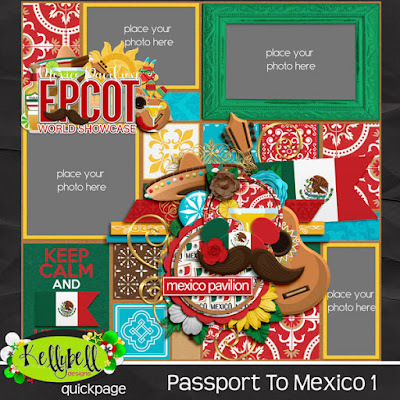 Passport to Mexico is rich with color and pattern and will compliment your layouts of the great restaurants, stores and fun attractions like Mariachi bands, sombreros, Donald Duck and the Grand Fiesta Tour. 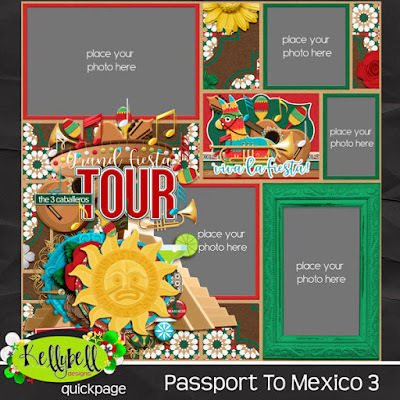 Be sure to pick up the Page Starters, Journal Cards, Word Art, Word Flair and Quick Pages too! 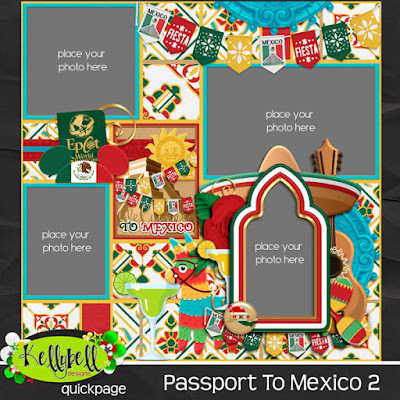 This kit includes 15 country-themed papers and a full outlined alpha set. 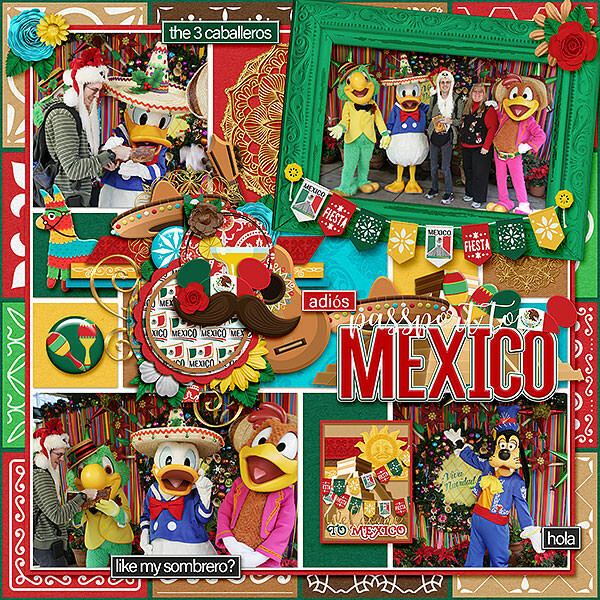 It also has over 60 unique elements including banner, flag, fork, knife, guitar, lime, peppers, maracas, margaritas, Mickey head, mustache, music notes, passport, pennants, pinata, plate, pyramid, shot glass, sign, sombreros, sun, Tequila, trumpet and much more! 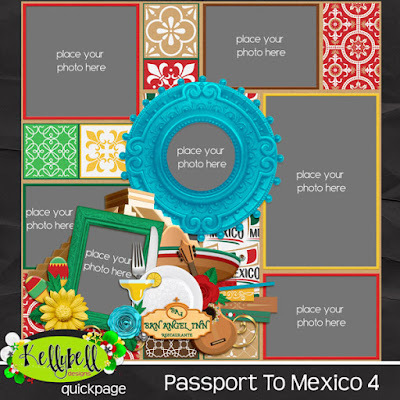 Now how about some world class freebies to coordinate with this new kit? 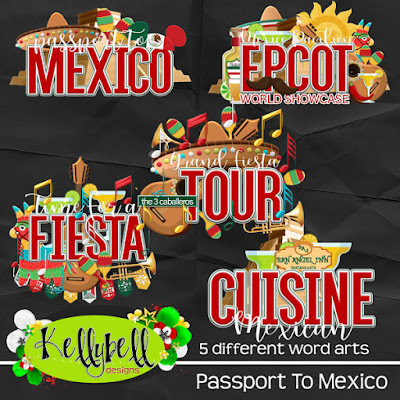 You can find them at Karen's blog and Linda P.'s blog. Have a great weekend and happy scrapping!